I resisted spring’s garden fever because I didn’t want to plant or move anything till the deck and fence were stained. That was done three weeks ago, and we’re completely happy with the results. 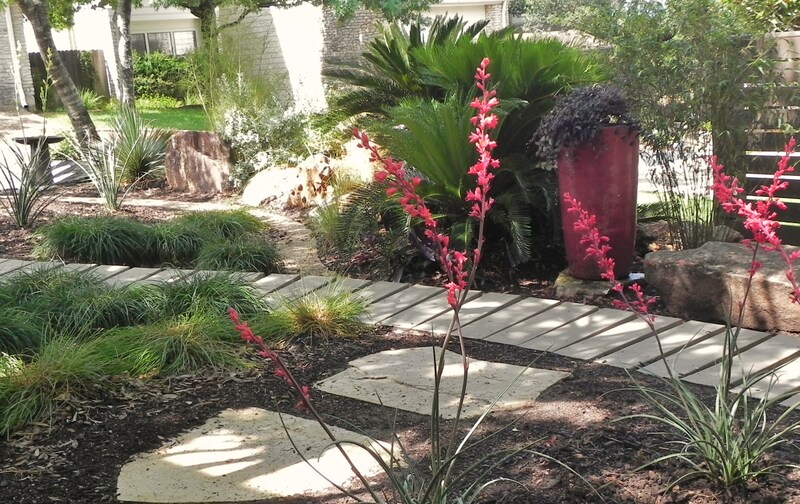 Obviously the plantings have also changed in the after photo; which brings me to some of what I’ve been up to these past two weekends, during my own “Hurry! 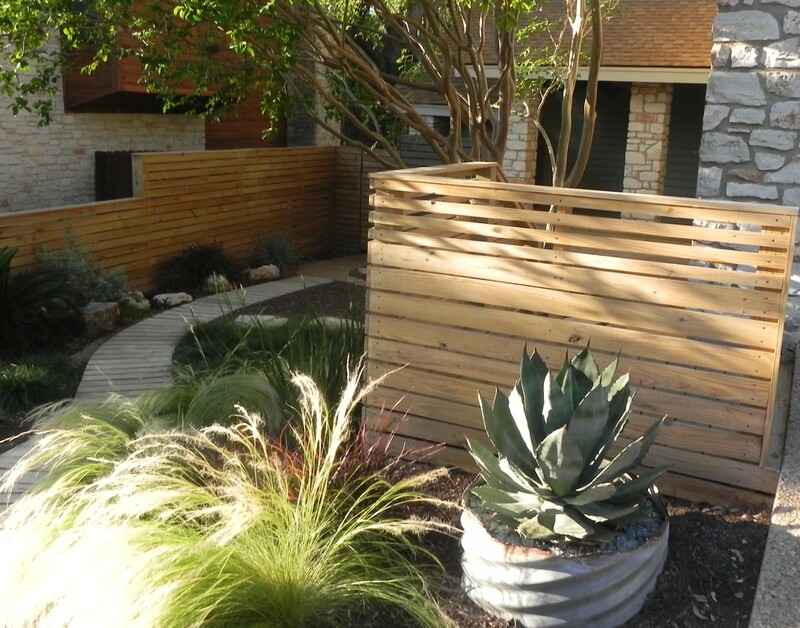 Spring-is-almost-over fever”…..
We added five Featherleaf clumping bamboos (bambusa multiplex) along the property line fence. These should green-up as they become established and grow up to about eight feet. They already give nice movement. 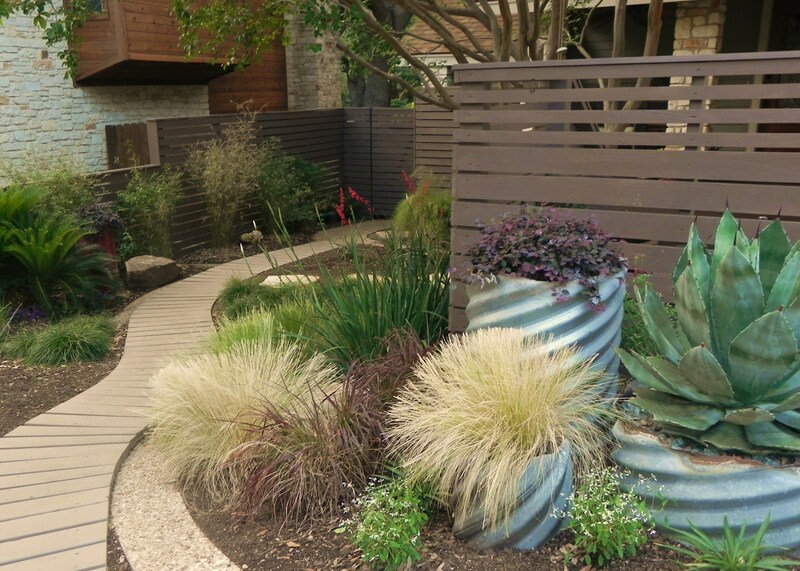 If they begin to arch over into the path, I’ll use this cool fix I saw on the Digging garden blog. I added two more culvert pipes to the driveway/entry bed, bringing the total to five culvert pipes in the front (three shown above). Perhaps that’s enough salvaged drain pipe in the front garden. Probably. On the other side of the garden, at the end of the fence is also where two paths meet. 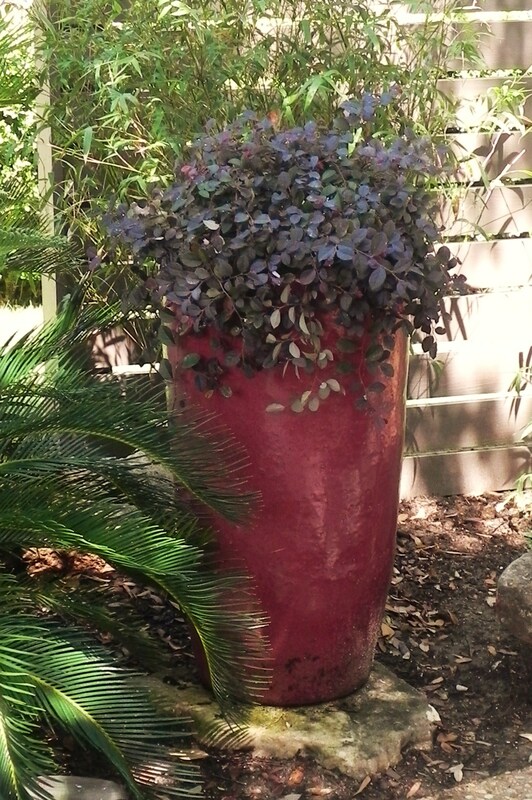 It’s a natural focal point, so I added a tall raspberry glazed pot planted again with Purple Pixie loropetalum. I like how this relates with the Brake Light yuccas’ spike blooms. So the garden structure is coming together- hardscape, shrubs and focal points. When the soil is dry enough (more rain possibly this week! 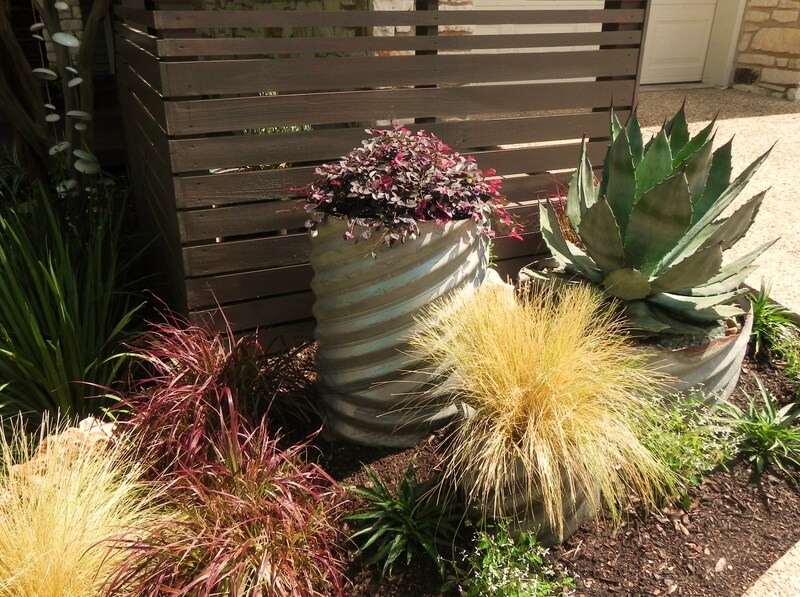 )…I have perennial flowers and groundcover to plant- some might say “the fun stuff”, but it’s all fun; and moving from structure and foliage is definitely a departure from my narrow gardening comfort zone.